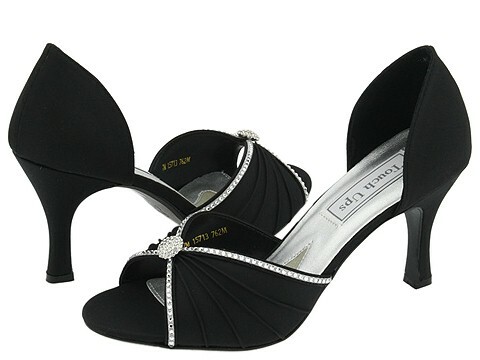 The Liz Rene 'Addison' by Touch Ups is a sophisticated d'Orsay with elegant charm. Dyeable satin upper. Pleated vamp detail and rhinestone embellishments. Lightly padded footbed. Covered heel. Leather sole. Also in black for the mother of the bride!